Community Crops provides education, advocacy and experiences to grow local food, celebrating 15 years of services in 2018. Crops has grown to nine community gardens, an incubator farm training program, production farm, Veggie Van mobile market and supports nearly a dozen school and youth gardens in Lincoln. We also provide classes in urban farming and gardening, cooking, canning and many more topics. To learn more visit our website or follow us on Facebook. 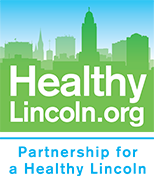 Community Crops is featured in this episode of LNKTV Health' s Shape of the City talking about summer gardening and the work of Community Crops.